Cruise right into the glorious 10,000 islands, our calm waters are swarming with prized fish waiting to be caught, manatees, dolphins, sting rays and thousands of shelling opportunities. 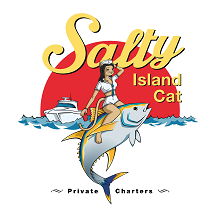 The Salty Island Cat is a one-of-a-kind charter service located on beautiful Marco Island. We offer a variety of boating charters through the 10,000 island of Southwest Florida. All of our Charters take place on a well-equipped Glacier Bay Renegade. We can accommodate up to 6 passengers and create a custom experience based on what you want to do and where you want to go. A combination of shelling, sightseeing, water sports and fishing can be arranged while you sit back and let our captains do the navigating; your day, your way.